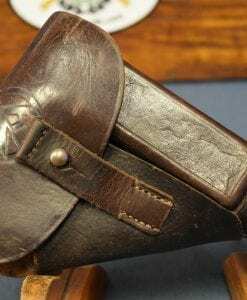 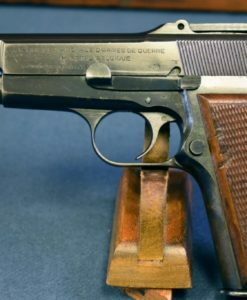 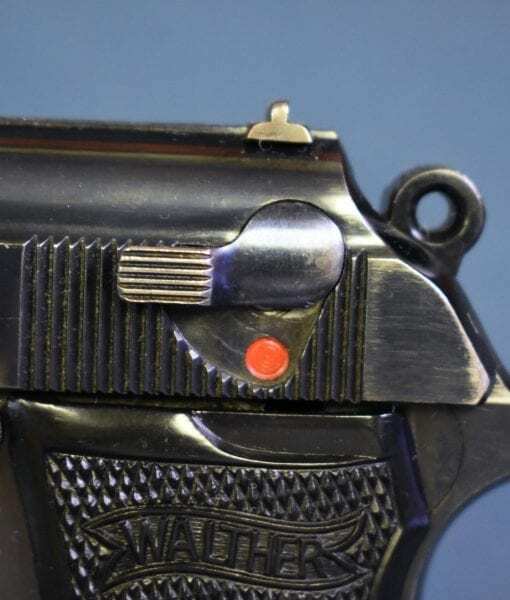 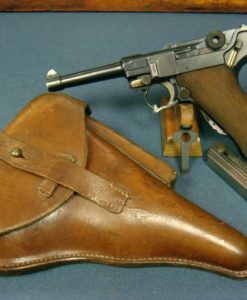 EXTREMELY DESIRABLE & ULTRA RARE WALTHER PP PISTOL…….NSKK MARKED VERY SHARP! 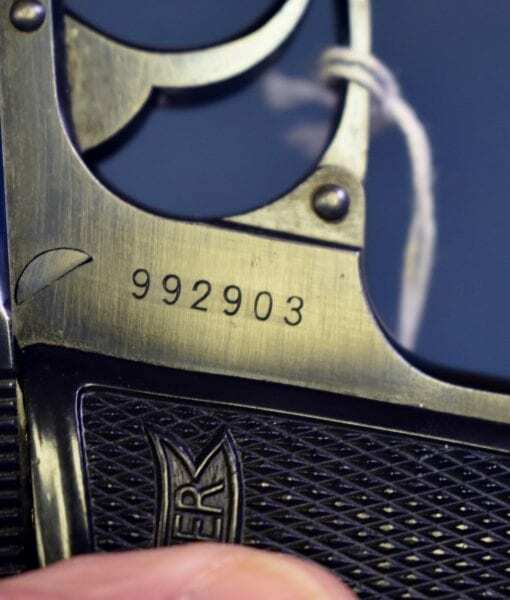 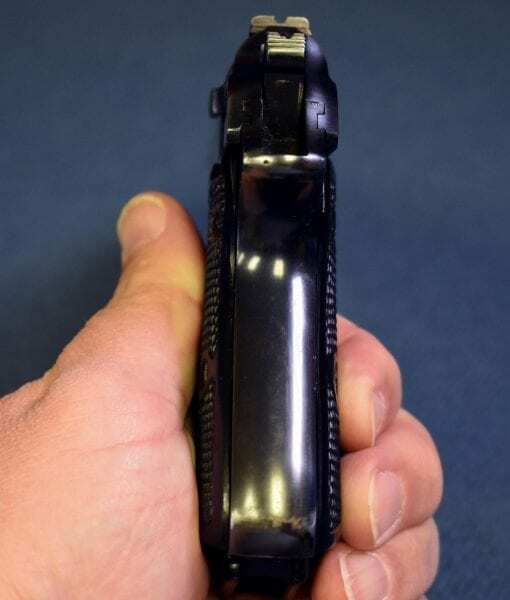 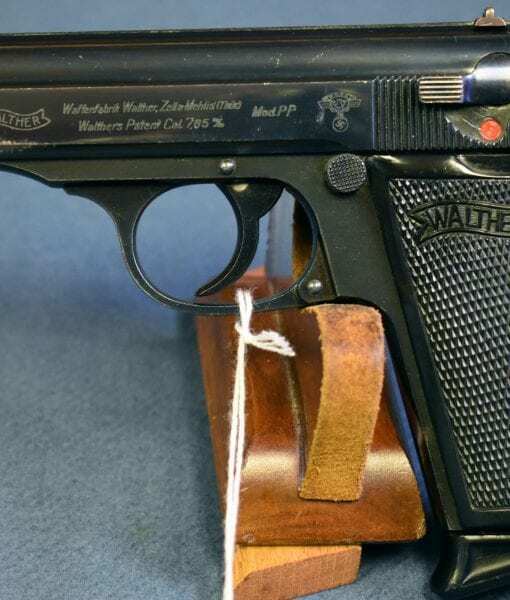 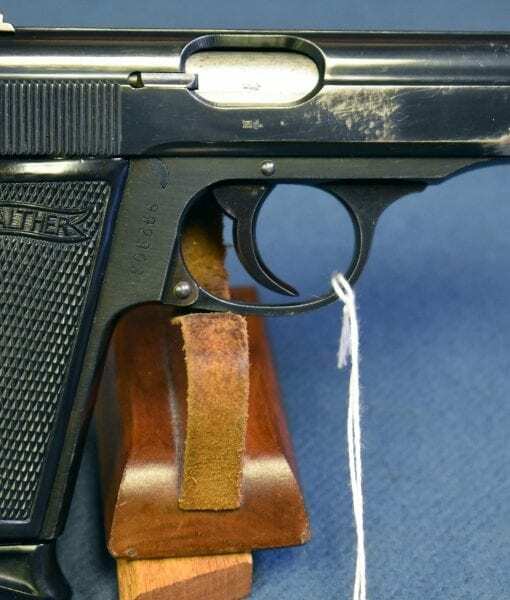 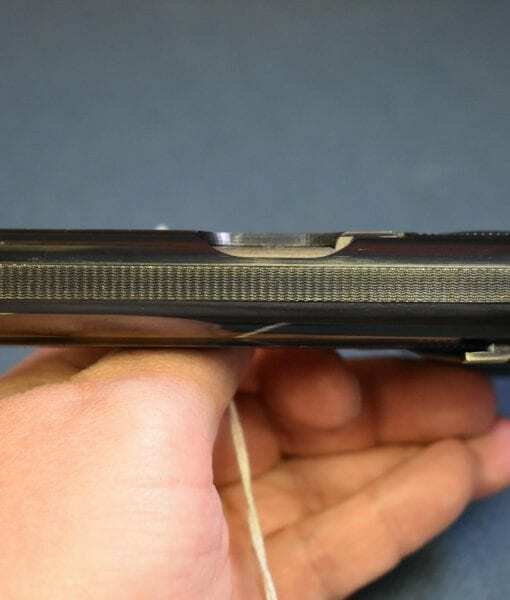 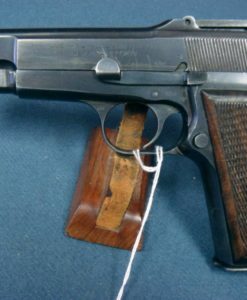 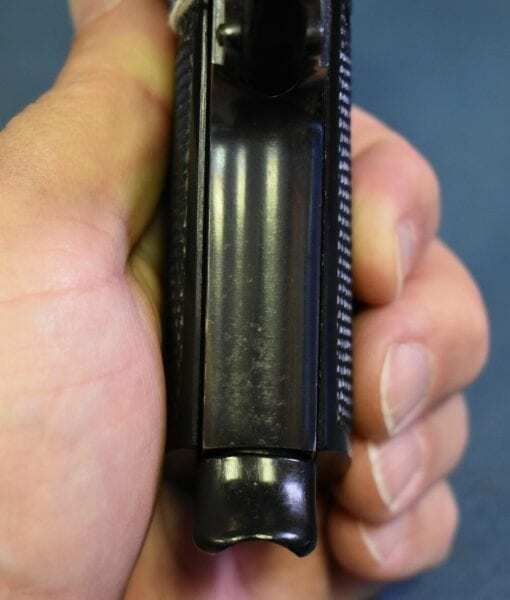 IN 97% ORIGINAL CRISP CONDITION WE HAVE A TOP EXAMPLE OF THE RARE AND ICONIC NSKK MARKED WALTHER PP. 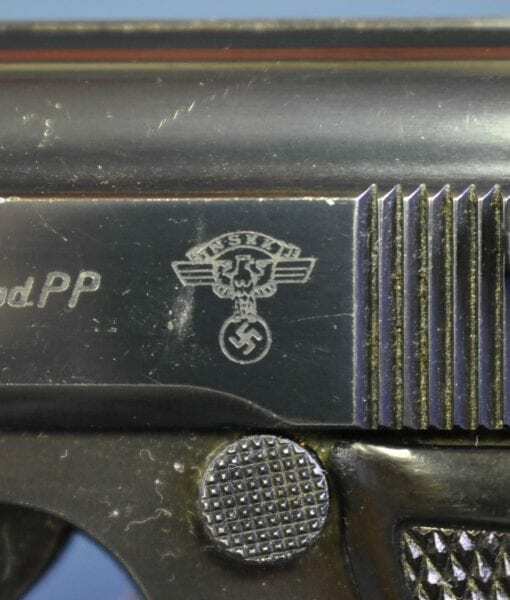 THIS IS A VERY SHARP EYE POPPING EXAMPLE AND THE NSKK LOGO IS VERY CLEAR AND WELL DEFINED. 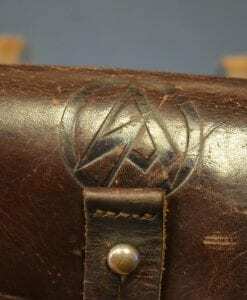 THE NSKK WAS THE NATIONAL SOCIALIST MOTOR CORPS AND THEY WERE INVOLVED IN COURIER DUTIES FOR THE PARTY. 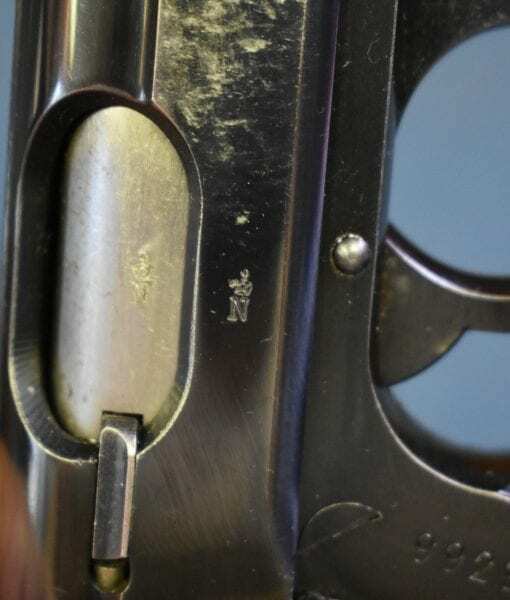 THE PISTOL IS MATCHING AND HAS A MINT BORE. 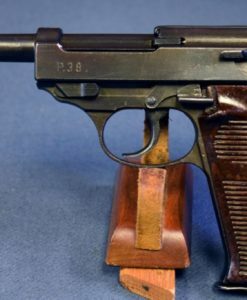 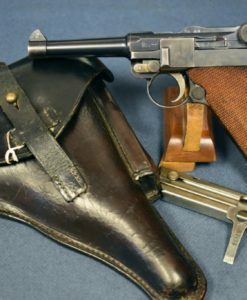 THIS IS EASILY THE MOST SOUGHT AFTER PP BY COLLECTORS, THEY WERE USED EXTENSIVELY WHEN THEY WERE IN SERVICE WITH THE NSKK AND FINDING ONE THIS NICE IS A NOTABLE ACHIEVEMENT AS THEY ARE USUALLY FAIRLY WELL WORN WHEN ENCOUNTERED. 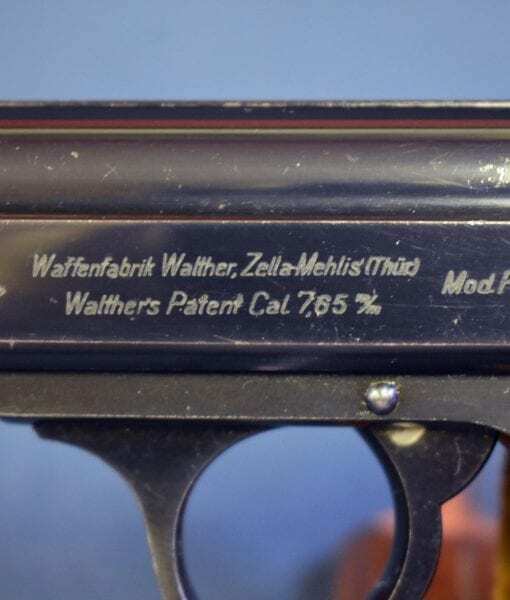 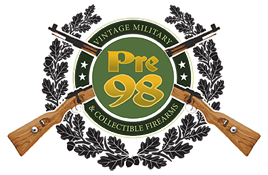 THIS IS ONE OF THE PREMIER COLLECTIBLE WALTHER VARIANTS.